EXCALIBUR’s site characterization teams more efficiently identify and define soil, soil gas and groundwater contamination in large measure because of the extensive problem solving experience of the seasoned staff completing these investigations. These teams use innovative techniques and the specialized technical training and skills to complete the objective. For example, EXCALIBUR’s site characterization teams are staffed with risk assessment specialists to translate the findings into what it means with respect to the level of risk the contamination may pose to human health and ecological receptors. In most cases, it is not enough to simply determine the locations, depths, concentrations, and types of contaminants present, the type of media that has been impacted and magnitude of the contamination. EXCALIBUR puts the relevance of the site impacts into perspective by identifying potential current and future human exposure pathways and risks in order to determine if the risks are excessive. Assisting human health risks as an integral part of site characterization is all too often overlooked by others leading to costly and sometimes unnecessary remedial actions. EXCALIBUR considers the necessary details in its risk evaluations including contaminant dynamics and how surface and subsurface conditions and past and on-going site operations may affect contaminant fate, transport and distribution in the future. 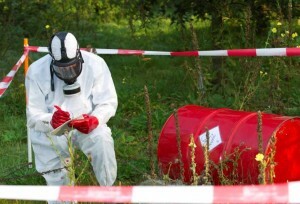 Our staff’s long-standing experience in working in nearly every type of contaminated setting equips us with the knowledge to efficiently plan and implement effective field investigations. EXCALIBUR‘s staff has executed complete field investigations that creatively employed conventional to innovative approaches, straightforward to complex analyses, immediate to long-term sampling and monitoring and more. EXCALIBUR has characterized environmental impacts caused by chlorinated solvents, volatile organic compounds (VOCs), petroleum products, heavy metals, polycyclic aromatic hydrocarbons (PAHs), poly chlorinated bi-phenols (PCBs) and other classes of contaminants. Our ability to account for the dynamics of different contaminants and their degradation products under changing site conditions enables EXCALIBUR’s site characterization experts to identify site-specific risks and, if necessary, implement cost-effective, downstream remedial actions. EXCALIBUR emphasizes the importance of effective field screening over extensive and expensive environmental sampling and analyses. From the early planning stages, our staff seeks out opportunities to collect essential information at the lowest possible cost. This may entail any of several site-specific approaches. Recent examples include using: direct push sampling equipment instead of drill rigs; simple indicator parameters to quickly screen out uncontaminated areas; and mobile field laboratories to relay real-time data to sampling crews and avoid costly re-mobilizations. EXCALIBUR site characterization teams also interface with EXCALIBUR engineering staff to identify early-on what engineering data should be obtained simultaneously with site characterization efforts to streamline the project and reduce costs. For example, should preliminary site characterization data indicate groundwater impacts presenting potentially excessive human health risks, soil and groundwater geochemistry data important to contaminant fate and transport modeling may be cost effectively collected concurrently to the contaminant delineation work rather than requiring separate mobilizations. EXCALIBUR distinguishes itself by helping clients understand what the site characterization results really mean relative to established regulatory obligations and potentially less onerous corrective actions and clean-up levels, cost, and possible schedule factors. In fact, we collect the site characterization data with these goals in mind. In virtually every case, EXCALIBUR evaluates potential opportunities for using human health and ecological risk assessments, land-use deed restrictions, hydrogeologic assessments, fate and transport modeling, and other tools to negotiate more reasonable (and far less costly) site clean-up/closure standards. 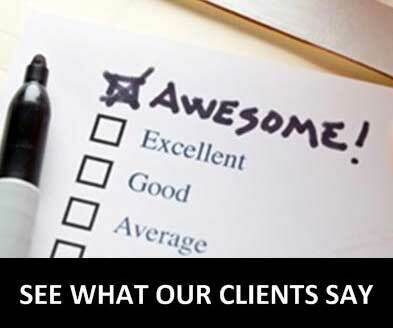 Defining contamination in terms of real-world risks relative to our clients’ on-going operations and future budgets is why clients seek out EXCALIBUR’s creative site characterization services. In the past, it was adequate to assess human health risks associated with actual and potential exposures to simply soil and groundwater. As the USEPA and state regulators have more recently advanced the science of human health risk assessment, scrutinized potential human health impacts, EXCALIBUR’s risk assessments now account for human health risks from inhaling vapors that could intrude into buildings or that might be present in a trench within which a future utility or construction team may be working. EXCALIBUR’s site characterization teams are acutely aware that the human health inhalation pathway for utility and construction workers can often drive the requirement for either land use restrictions or remediation. Because of this and the fact that USEPA has not issued specific definitive guidance on estimating exposure point concentrations (EPCs) for trench worker soil gas exposures, EXCALIBUR has developed alternative methods which have been accepted by federal and state regulators that offer the prospect of more cost effective closures. When applicable, EXCALIBUR’s site characterization services are tailored to simultaneously and more cost effectively collect other information needed to identify the best remedial technology for cleaning up impacted soils and groundwater. Instead of collecting this information as part of a separate follow-up effort, EXCALIBUR takes advantage of already being in the field to obtain these data needed to conduct meaningful remedial alternatives analyses. Determining parameters affecting the fate and transport of contamination such as soil permeabilities and chemistry, preferential soil gas and groundwater flow patterns, the presence of indigenous microbial populations capable of digesting on-site contaminants are examples. EXCALIBUR’s staff is also trained to seek out and obtain information about the relative past, on-going and future facility operations and neighboring properties for downstream use by our risk assessors, engineers and remediation specialists. EXCALIBUR’s site characterization teams tend to use technically “aggressive” site characterization approaches with the goal of developing sufficient information to enable application of more lenient, site-specific cleanup approaches allowed under the regulations, if desired by our clients to reduce costs. At other sites, EXCALIBUR’s site characterization teams have demonstrated through careful subsurface profiling and chemical/biological monitoring that intrinsic in-situ bioremediation of chlorinated and non-chlorinated organic compounds is occurring and occurring at a sufficient rate to preclude future excessive human health risks from materializing. This information has been folded into future remedial alternatives analyses, risk assessments, and site closure strategies requiring limited or no remediation other than addition of growth-limiting factors which greatly accelerate bioremediation and site closures. Establishing baseline environmental soil and groundwater conditions attributable to legacy site operations are difficult and frequently comingled with current contaminant sources. EXCALIBUR, through the use of high resolution gas chromatography, has identified unique and distinguishable compounds affiliated with petroleum hydrocarbon assemblages to ascertain the date of their production in dissolved or separate phases relative to retroactive claim dates. Savings were recognized by insurance providers by identifying uninsured responsible parties that had operated on the property to claim costs for mitigation. Billions of dollars are spent annually on site cleanups, and, over the next decade, thousands more cleanup cases can be expected. Certainly, these cleanup costs can be limited by early recognition and mitigation of a release. 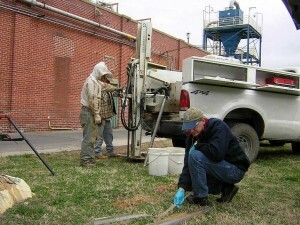 However, determining whether a “new” release occurred at a site is not always an easy process, especially at sites with a long history of commercial or industrial use but without much characterization data or even at sites with a pre-existing history of soil and ground water contamination associated with one or more prior chemical releases. The stakes associated with a “new” release determination can be particularly high, if, for example, the site has also changed hands in the interim period, as it will often define the apportionment of remediation liability and costs between the new and former tank owner/operator. Or, if the “new” release is discovered during coverage period of an environmental insurance policy. Is there corroborating evidence of a “new” release? Was there a documented official notification and response to the alleged “new” release? Were the cause, source, & mechanism of the alleged release established? Are the manifestations of the “new” release consistent with the alleged cause? What is the most probable age of the alleged “new” release? Were other scenarios considered, evaluated, and ruled out? What EXCALIBUR often finds applying this methodical multiple-lines-of-inquiry approach is that “new” alleged release environmental insurance claims often do not hold up. Surprisingly, the alleged “new” releases often cannot be corroborated by contemporaneous evidence such a “failed” tank line integrity or enhanced leak detection (ELD) test preceding the “new” release discovery. At the same time, EXCALIBUR frequently finds historical sources of contamination in the vicinity of the “new” release which previously had never been adequately investigated to establish pre-existing baseline conditions. Using its methodologies, EXCALIBUR has saved its insurance clients millions of dollars in ineligible claims.